Includes unlimited streaming of Samantabhadra via the free Bandcamp app, plus high-quality download in MP3, FLAC and more. Sergey Bulychev in Wsewoloschsk streicht Balsam auf verkrätzte Ohren. Er dröhnt als KSHATRIY mit Samantabhadra (ACT 1042, C-60) & 'Samantabhadri', als säße er im Vater- & Mutterschoß des Großen und Ganzen. Ich setze mich daher auch vor mein Cheshirekatzen-Poster und lasse die Panzer des Guten, Wahren und Schönen ihre Runden um mich drehen. Alles om mich herom wird blau, alles om mich herom wird weiß. 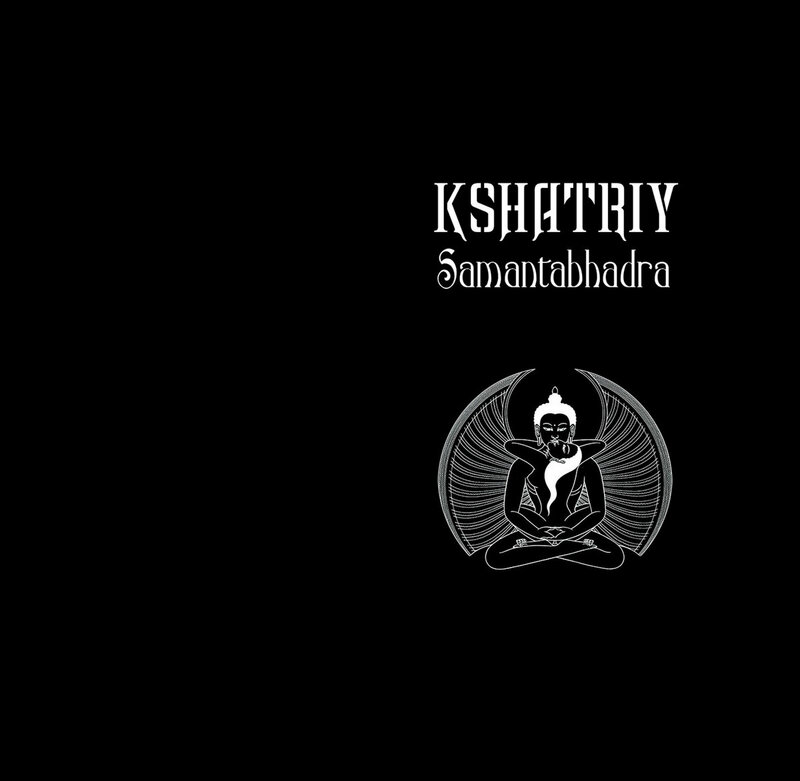 The title of this new release by Kshatriy means "Noble in Everything He Does" and is the name for an enlightenment associated with practice and meditation. As it's rarely depicted alone he's seen as a symbol of the freedom form any duality i.e., dialectic, concepts. 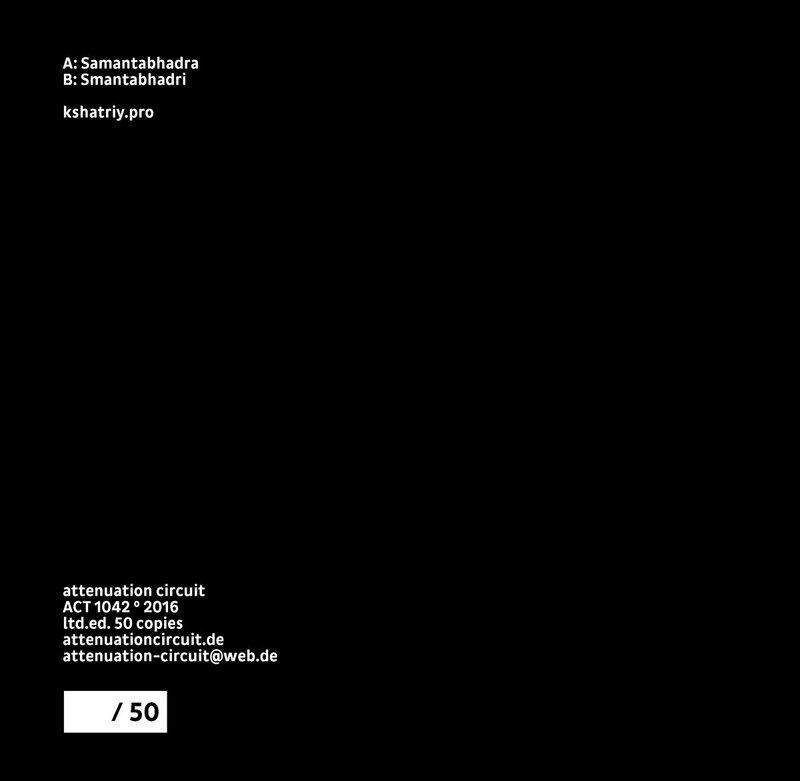 The first part of this release, "Samantabhadra", starts as a something between a drone and a loop as the resonances of the drone periodically emerge as in a loop and develops quietly letting all sounds unfold without any contrast but using this predictability as a mean to let the listener concentrate on sound, so even when it starts a sort of noisy deviation from this path after a while it's stopped to let the track end in an almost perfect circle with the start. The second part, "Samantabhadri", uses a small metallic beat as the centre of the track as all sounds revolves around this beat so a sense of time passing became the focus of the track until this beat stops and this release ends in silence. Someone could say that there's anything new on this release but the idea of composition is not about creating something new but to say something using a known form and this is the key to access this release. 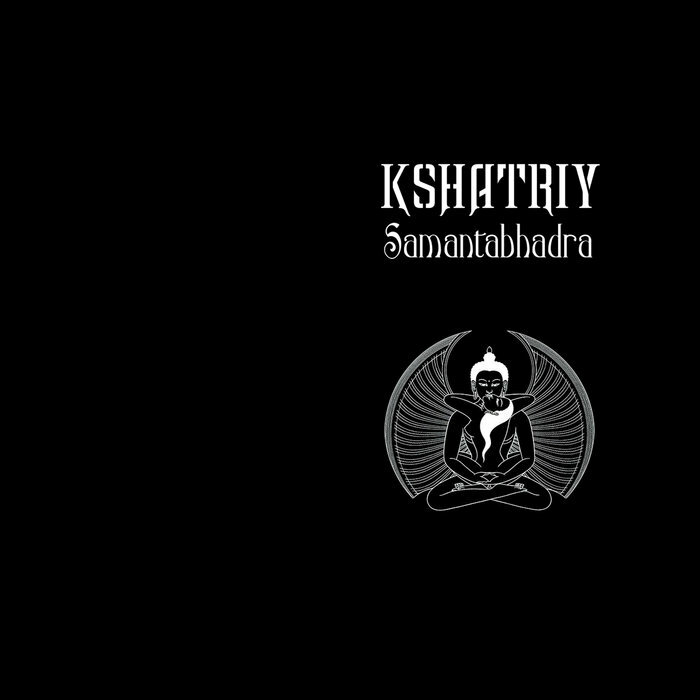 Samantabhadra is a deep reflection about mind and time using music and it's something that all fans of drone and meditative music will truly enjoy. iridescent drone-scapes full of resonances and overtones, cosmic winds and cold metallic bangs; more rough and dissipated as on previous KSHATRIY works, this release will fascinate the lover of extensive, wide and super minimal drone hypno noises.. this might wipe your mind away completely!